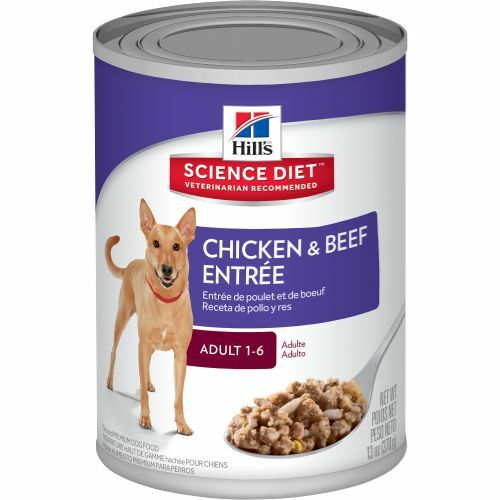 Hill's® Science Diet® Adult Chicken & Beef Entrée dog food has precisely balanced nutrition to maintain advanced fitness. Contains high quality lean proteins for lean muscle. Promotes ideal body weight and is easy to digest.